Nash by Jay Crownover is book four in her Marked Men series. It is no secret that I adore this series and therefore was highly anticipating Nash’s book. All the Marked boys have woven their way into my heart and I have come to love their “merry band of misfits”. This author definitely delivered when it came to the execution of this book. The storyline is both tragic and sweet, dealing with some powerfully real issues and beautifully intertwining it with a tender romance. It’s about letting go of the past and embracing life because if you are able to grab hold of that second chance, you may just find a once in a lifetime kind of love. Nash Donovan and Saint Ford met in high school. Nash was the quintessential bad-boy charmer who could get any girl he desired and Saint was the timid, slightly heavy girl who melted into the background. Their overt differences did not stop Saint from developing a huge crush on Nash. Despite Nash’s attempts to converse with the painfully shy and socially awkward girl with a locker next to his, it did not stop a huge misunderstanding from occurring which led to it being one of many events in Saint’s life that contributed to her distrust of men. An introverted girl’s world turned inside-out and the boy who was the cause too wrapped up in his own world to notice. Fast forward a few years and twenty-five year old Saint has worked hard to achieve her dream of becoming a nurse. Saint continues to keep mostly to herself letting only a select few in and focusing intently on her career. The scars that began manifesting in high school are only deeper and more ingrained into Saint’s psyche now. She has no room for men and love in her life. She knows that letting a man into her carefully constructed world would only end up shattering her. After all, how can she, with all her issues and hang-ups, keep a man interested enough to want to stay with her forever? When the one man who broke her heart shows up at the hospital she works at, Saint is determined to stay out of his path. But, when she discovers that he is dealing with the imminent death of a loved one, she does not have the heart to walk away and instead reaches out to Nash. Can Saint protect her heart and still be there for Nash in his time of need? Nash’s life has been rocked off its axis. He has discovered some painful truths about the man he considers a father at the same time that he is told the same man is dying of cancer. Nash is spiraling and there is no stopping the impending boom that his fall will create. In his devastation, Nash is also trying to figure out his future. When he comes across Saint, a girl he remembers from high school, at the hospital, Nash is unable to ignore the pull he feels towards her. He knows that Saint feels the same attraction and is puzzled when she acts so distant and cold, wanting nothing more than to cut any encounter they have short. But, despite the utter turmoil his life is in, Nash can’t help but pursue the beautiful and reserved nurse who has him reeling. She is the only thing that is making him feel whole and alive and Nash is willing to put up a fight to make Saint see him for the man he is now and not the young punk he once was in high school. As Saint and Nash spend time together and get more deeply involved, it is up to Nash to break down the walls that she has so carefully erected. Nash sees Saint as someone special and worth investing in. If only he could make her see for herself just how beautiful, compassionate and amazing she is. Saint is so confused and skittish, completely unable to surrender to the depth of her feelings for Nash. As a means of self-preservation, Saint simply can’t give herself fully knowing that one day Nash will get bored with her or frustrated and leave her. That’s what all men do in her world. Will Nash be able to break through or will Saint’s reservations and inability to fully give all of herself ultimately doom what has only just begun? The past may be left behind but sometimes the scars that still linger are more resilient unwilling to let go. Both Nash and Saint go through some changes as their relationship progresses. It’s a period of discovery for both of them. I loved Nash already from the prior books in this series but this book fully cemented my adoration for the tattooed bad boy. He was so caring and selfless when it came to Saint and, yet, he was not willing to allow Saint to continue holding back from him. He wanted all of her and if she was unwilling to relent and embrace the relationship with all she had, Nash would walk. I fully understood Saint and all her reservations. We all bear marks from our past, particularly during our younger years where our emotions are all over the place and our psyches are much more vulnerable. Saint truly had to learn how to see herself in a different light, a more positive one. She had no issues pointing out all her flaws but had such a hard time identifying all the things that made her special. 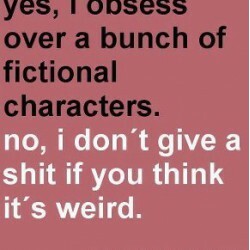 I definitely could identify with that at some level. I did get frustrated with Saint and could not understand why she took so long to come around and truly accept that someone like Nash could love her whole-heartedly and unconditionally. I wish her evolution had come a little quicker; however, with that being said she did “man-up” and was there for Nash when he truly needed her. All in all, Nash was a touching and wonderful addition to this series that I am enthusiastically addicted to. I found myself happily sighing as we get such a beautiful tale of love and I also wiped away the tears as Nash and his Uncle Phil share some profound moments. We also get to catch up with “the gang” and are introduced to a couple of new characters that I am sure will stir things up. Up next is Rowdy’s book. I am so ready!!!! 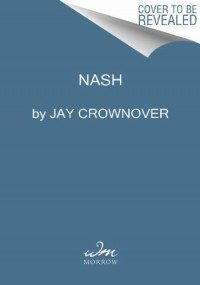 ****An advanced reading copy of Nash by Jay Crownover was provided to me in exchange for an honest review.